The Astronauts land on the moon in the Apollo 14 mission. HOUSTON, Saturday, Feb. 6 — Apollo 14 astronauts Alan Shepard Jr. and Ed Mitchell, sleeping only briefly after an incredible four hours and 44 minutes spent wandering on the moon yesterday, left their lunar ship Antares at 3:23 a.m. today to begin a second recording-breaking moonwalk. The astronauts were up and on the surface nearly two hour early, their spectacular walk beamed to earth via a color television camera set up on the surface yesterday. A major task was to return 600 feet to a scientific package they had laid out yesterday to reposition an antenna designed to send seismic and other information to earth for months after America’s third successful lunar landing mission has ended. The astronauts first set out on a long 4,600-foot hike to collect moon rocks which geologists believe will date back 4.6 million years to the beginning of the universe. 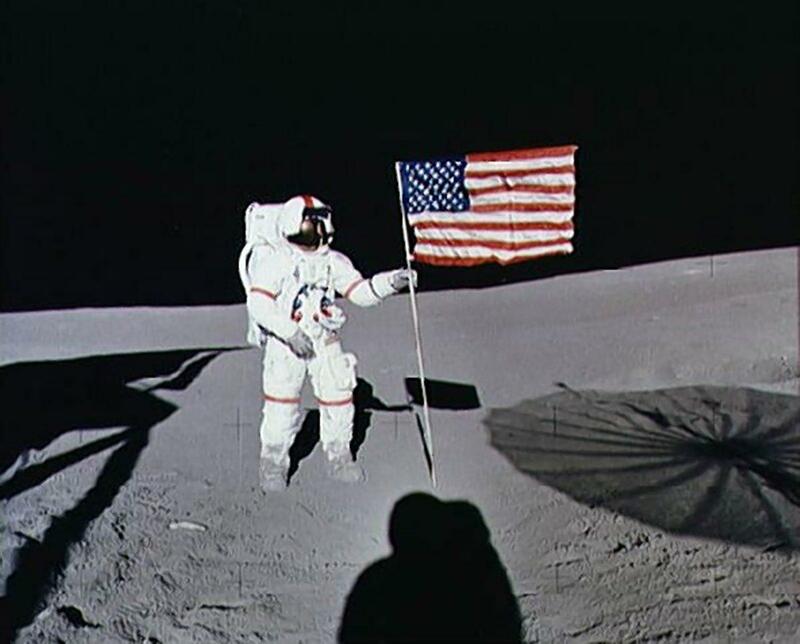 Like most of the gremlin-riddled Apollo 14 flight, the first moon walk was not without trouble. Communications problems stalled its start for 50 minutes. Unforeseen difficulties in some of their tasks caused its extension for an extra 30 minutes. And one of their experiments failed completely. But the flaws were minor. The first of two long moon walks for the crew of the little lunar landers Antares accomplished its goal admirably. The astronauts were so pleased that they talked Mission Control into letting them begin today’s four to five-hour walk before its planned 5:38 a.m. start. Only one small problem arose. A minor heat leak in Mitchell’s pressure suit was expected to limit the second walk to no longer than the one yesterday. The leak was not expected to interfere with any of the day’s goals. This entry was posted in Uncategorized and tagged 1971, 5 February by admin. Bookmark the permalink.